Tomorrow night at 7:30, the John Butler Trio will be performing at the Michigan Theater. I’ve seen them once before a few years ago in Grand Rapids, and they were amazing. Butler’s guitar playing in particular stood out to me – if you’ve ever heard or seen him play “Ocean” you’ll know what I mean. I wanted to buy a 12 string guitar for the better part of high school just to learn that song. 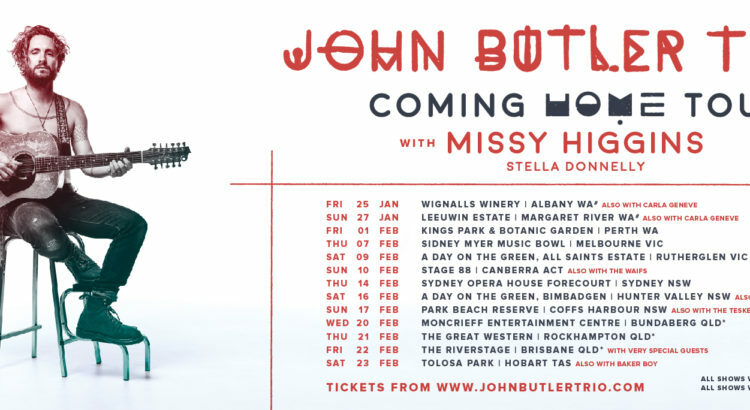 The John Butler Trio has a new album out. It’s called “Home.” It’s pretty good; a little more alternative than their previous stuff, it’s definitely marking the band’s progression through the genres. While I don’t like it as much as some of their other albums, I’m excited to see how they incorporate new and old songs into their set. They also have a new drummer, Grant Gerathy. They will be performing tomorrow night with Dustin Thomas.